The Magellan 3300HSi scanner is the world’s first in-counter single plane scanner to use imaging technology. The result is a bar code scanner that leverages the reading performance of laser scanners with added benefits, including the ability to read two-dimensional (2-D) bar code symbologies. 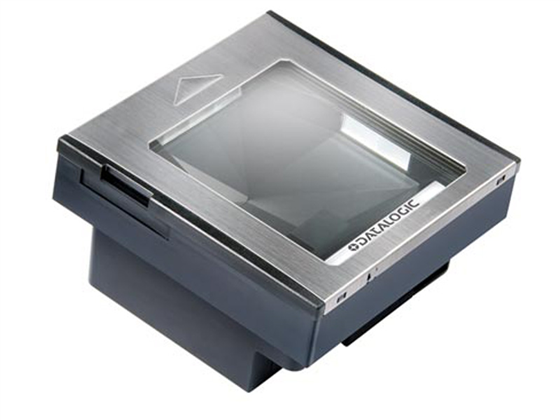 New imaging technology and software developed by Datalogic Scanning has considerably improved this scanner’s first pass read rates on hard-to-read bar codes, such as truncated codes and GS1 DataBar™ codes. This adds an improved experience for the retailer’s point-of-sale system by increasing operational efficiency while ensuring faster and better customer service. Imaging technology significantly enhances the reliability of the Magellan 3300HSi scanner by using a solid-state design. By eliminating the need for high-speed motors and laser diodes, the Magellan 3300HSi scanner has an improved mean-time-between-failure (MTBF) rate, which reflects in an improvement in the retailer’s Total Cost of Ownership. Find it faster! Click here to compare Magellan 3300HSi models by feature.